I’m excited to announce the merger of my company with a regional leader in group benefits, NorthPointe Insurance. This partnership enables me to offer my clients full-service benefits planning and increased customer service. NorthPointe brings considerable expertise in the areas of workers compensation, liability and property and casualty, along with a history of excellence in providing defined benefits, health and retirement planning. In addition, the agency is particularly adept in prevailing wage compliance and benefits planning. In fact, it was Robert Hope, one of the principals of NorthPointe, who first introduced me to government contracting benefits nearly 19 years ago, just as I was getting licensed. “As friends of Chris Nesbitt over many years, we are very excited on the merger with Vesity Financial and privileged to be working together” said Robert Hope after the public announcement on Friday, Sep 18. NorthPointe holds licenses in 15 states and has representatives in 6 states, with a specific focus in California, Arizona and Nevada. This represents a perfect fit for my business in terms of better servicing and enhanced product offerings for my group clients, who now have at their disposal a single brokerage firm for all their insurance needs. More info on the merger will be available soon; meanwhile a detailed company profile is below. Note: This merger has no impact on my partnership with Fortress Financial Group, a team of financial professionals offering retirement education and services in Southern California. Fortress serves individual clients, whereas NorthPointe serves primarily groups. I remain partnered with both firms. Mission: To provide to our customers the very best and most affordable insurance products through the use of innovation and experience in an ever changing insurance and risk oriented business environment. 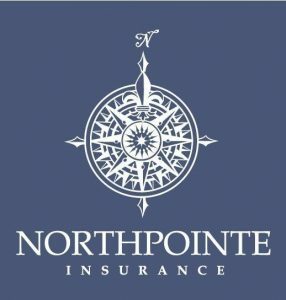 Founded in 1994 as National Fringe Benefits, the agency started as an employee benefits firm for government contractors, then became NorthPointe Insurance in 2006 after evolving into a full service insurance agency. Staffed by proven professionals and headquartered in Peoria AZ, the company is built on the principles of providing superior customer service and quality insurance solutions for their customers. With licenses in 15 states, NorthPointe Insurance is a multi-line agency, offering competitive commercial, personal and employee benefits coverage through top-rated insurance companies. The principals have a combined 35 years in the industry and over nine years with NorthPointe. From 1970 to 1983, Robert Hope was in construction lending as Executive Vice President of Saguaro Savings & Loan. In 1984, he founded Mountain Security Financial Corporation, which became the largest commercial mortgage lender in the state of Arizona. Mr. Hope has spent the last 21 years in the insurance industry, focusing on insurance solutions within prevailing wage markets, group health, property and casualty and retirement planning. Additionally, he has helped pioneer and innovate in the field of Telemedicine. In 2006, he formed Northpointe Insurance with his son, Zach. Robert lives in Glendale, AZ and is married to his wife of 44 years, Sandra Hope. He has 2 children and 5 grandchildren. As CEO of Northpointe Insurance, Zach Hope personally manages the Government Contractors Trust programs along with other specialty markets such as TeleMedicine and Northpointe’s Employee Benefits division. Prior to forming Northpointe Insurance, Zach was Vice President of Brown & Brown Insurance, a publically held insurance agency with 157 offices nationally. In 2003, Brown and Brown bought Zach’s agency, National Fringe Benefits, which specialized in Davis Bacon and Service Contractors. 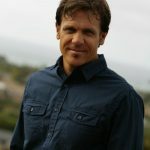 Mr. Hope also co-owns a real estate development company which includes a custom home division, RH Custom Homes LLC. Zach Hope is an honors graduate in Global Management from Arizona State University. He and his wife of 16 years, Jenna, have 2 children.